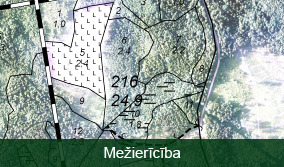 LLC “ForestOwnersConsultingCenter” (FOCC) is one of the largest forest management companies in Latvia, with more than 11 years of work experience. Our main tasks are providing consultations both for existing and emerging forest owners, as well as helping to find solutions for all questions related to forest management. The best proof for the high quality and professional level of FOCC services is the first FSC® (Forest Stewardship Council) certificate (SW-FM/COC-000135 , FSC-C002604) in Eastern Europe, issued in January, 2001. Within ten years, our specialists have obtained education and experience in many European countries, such as Germany, Finland, Sweden, Norway, Austria and the United Kingdom. 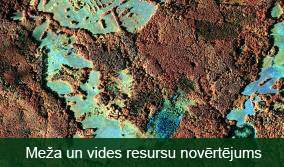 Forest inventory by laser scanning. We offer high-precision forest inventory where data are obtained by aerial platform using specially equipped aircraft and laser scanner. Aerial photographing and making orthophoto images/maps. Making digital terrain models and 3D models. Forest inspection and planning forest management activities. Consultations in preparing for FSC COC (chain of custody) certification. Intermediating services in seeking forest products.